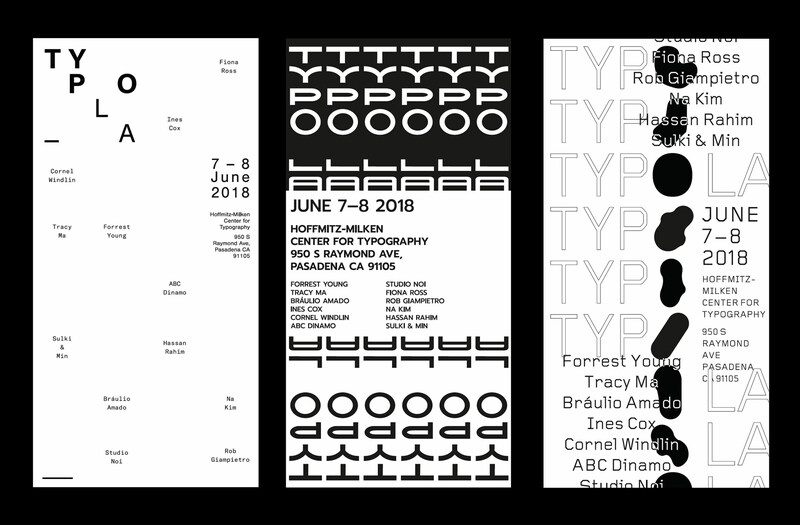 TypoLA is a fictional event taking place in Los Angeles that celebrates contemporary graphic designers. 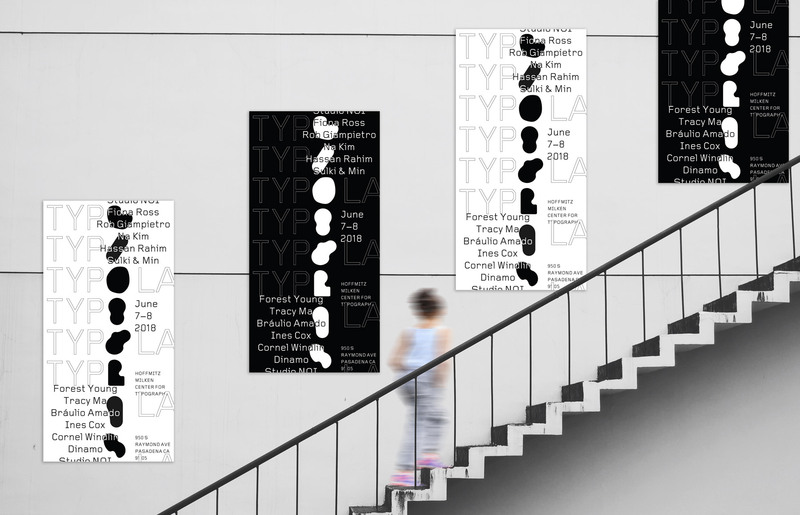 This assignment involved designing a variety of wordmarks to then develop black and white posters and collateral materials for the event. 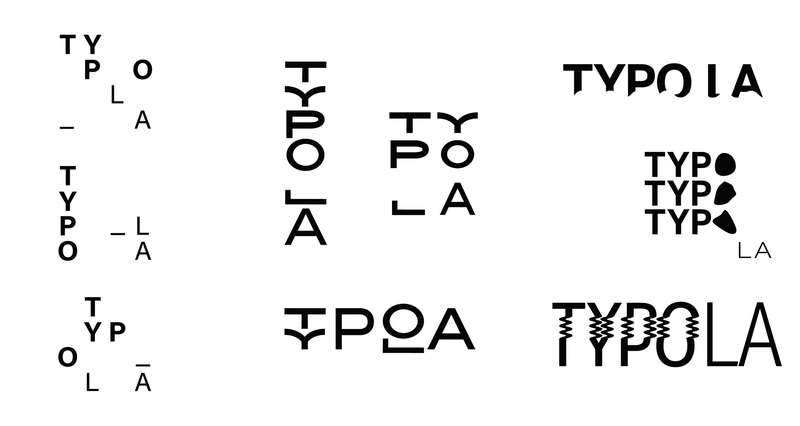 ↑ Poster variations based on wordmarks. The final design was influenced by swimming pools and Ed Ruscha's relationship to Los Angeles, often documented in his work. 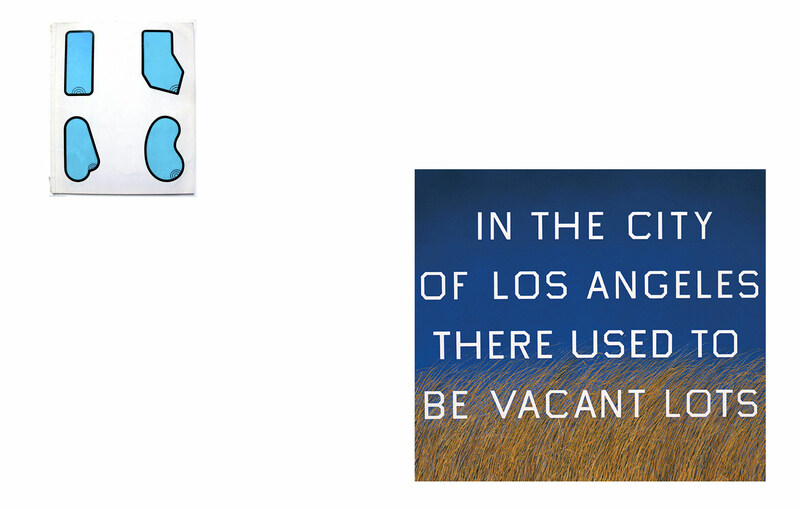 ↑ Left: Pool shapes by Claes Oldenburg; right: work by Ed Ruscha. Each 'O' in the name of the event took on a different pool shape, which then became a responsive logo element for other collateral material. 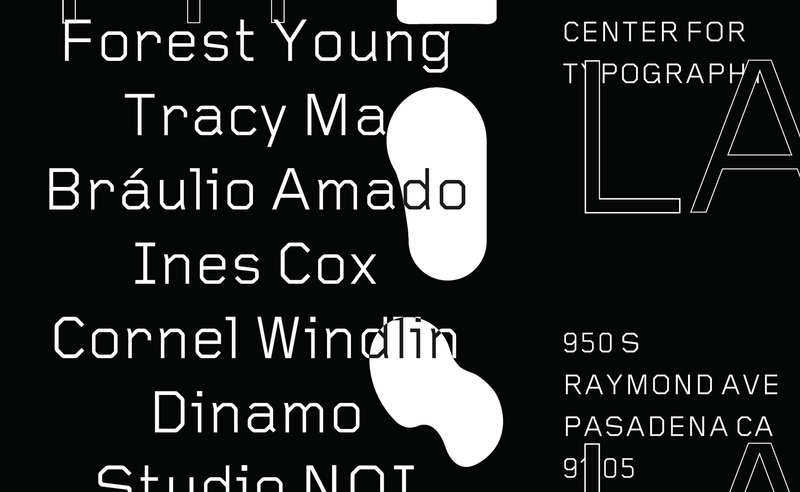 The poster was typeset in Gridnik, which resembled Ruscha's lettering. 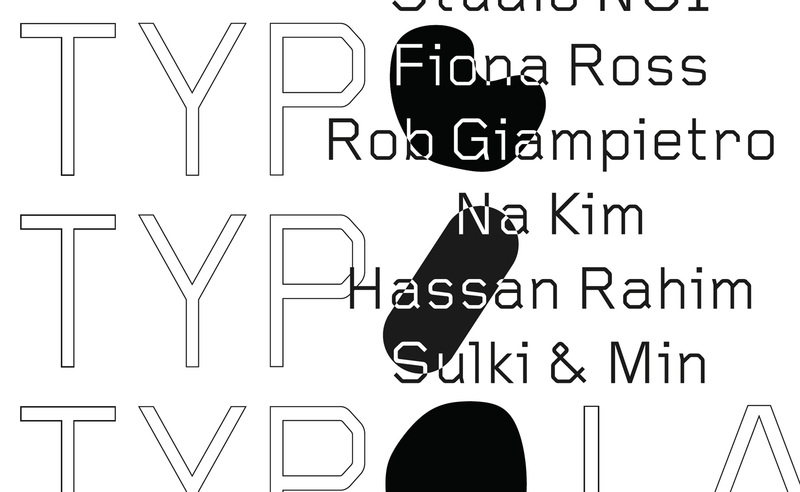 ↑ Black on white detail. ↑ White on black detail. 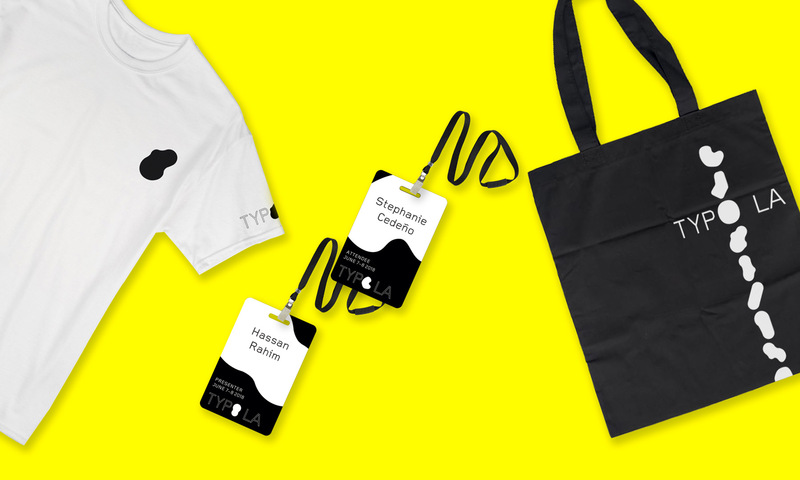 ↑ T-shirt; badges for presenters and attendees; tote bag.